One Year Later, Did Nintendo Keep Their E3 2015 Promises? Nintendo’s digital events have become a highlight of E3—pre-recorded presentations, as opposed to live stage shows, that are full of fun and filled purely with games. There’s no planned Direct this year, but let’s see if they kept their 2015 promises. Nintendo was generally good about sticking to their promises on release dates and windows for announced games. A couple are still outstanding but have since received locked down dates. There was a noticeable delay for Star Fox Zero. 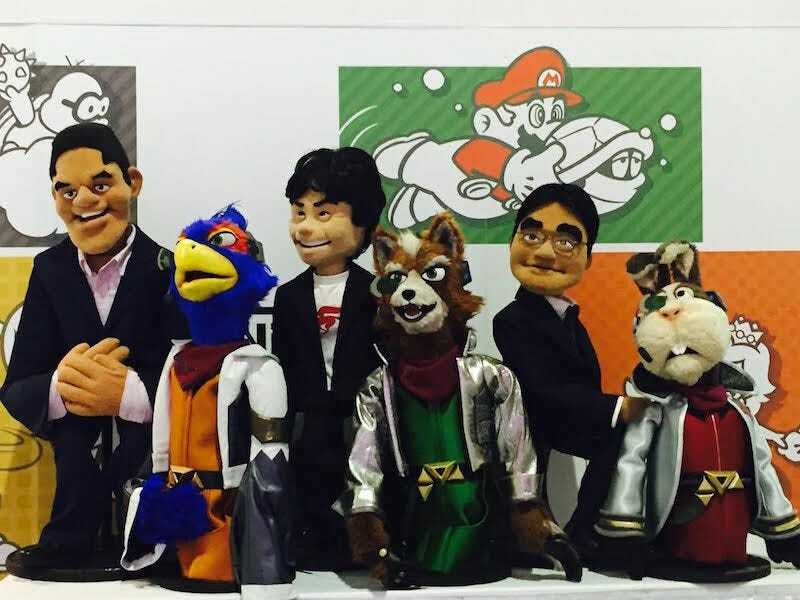 The promise: After puppets of Nintendo president Satoru Iwata, chief game designer Shigeru Miyamoto and Nintendo of America boss Reggie Fils-Aime transformed into Star Fox’s Peppy Hare, Fox McCloud, and Falco Lombardi, respectively, Nintendo showed a Star Fox Zero gameplay trailer. A segment with Miyamoto discussed the origin of the Star Fox series and the new game’s control scheme. Did they deliver? Yes, but with with a delay. The game was eventually given a release window of Holiday 2015, but it was then moved to April 22, 2016. Did they deliver? Yes and not yet. Nintendo met almost all of their promised game releases by 2016. As for the company’s plans, which Fils-Aime spoke about: in 2016, Nintendo launched Miitomo, the company’s first foray into the world of social apps. They also announced apps for Fire Emblem and Animal Crossing, which will be out this fall. There has been no further information on their theme park plans, and the company currently has no plans to unveil information about the NX at E3 2016. Nintendo recently expressed a desire to go into the movie business. The promise: In celebration of the Super Mario Bros. franchise’s 30th anniversary, Super Mario Maker would be released to further the series’ transformation “...by turning the essence of game creation over to you, our fans.” Players would be able to create and build their own levels, which could be shared globally with friends. The game would be headed exclusively to the Nintendo Wii U on September 11, 2015. Did they deliver? Yes. The game released on the date announced, and fans continue to create and share levels for fun and for friendly competition. Sometimes, though, Nintendo deletes levels. The promise: Nintendo partnered with Activision to feature two Nintendo characters in Activision’s Skylanders Superchargers. Donkey Kong and his Barrel-Blaster vehicle, as well as Bowser and his Clown Cruiser vehicle, would both join the lineup in Superchargers. The Nintendo characters would have unique move sets and upgrade and work both as Skylanders figures and as Amiibo for use in certain other Nintendo games. The Donkey Kong and Bowser figures and vehicles would only be playable on Nintendo platforms. Did they deliver? Yes. The game released on September 20, 2015 for the PS3, PS4, Xbox 360, Xbox One and Wii U. The Donkey Kong and Bowser figures were later released as standalone packages with their vehicles, and remain exclusive to Nintendo. The promise: A first look at The Legend of Zelda: Tri Force Heroes showed off three person multiplayer co-op gameplay that would be accessible both locally and online. The game would focus heavily on co-op, as displayed by its three-player totem mechanic, though the game does feature a single-player mode. The release date was revealed for fall 2015, and the game would be available only on Nintendo 3DS. Did they deliver? Yep. The game released on October 23, 2015 for the Nintendo 3DS. It features local and online multiplayer but can also be played solo. False Heroes need not apply. The promise: Hyrule Warriors Legends was being developed with Koei Tecmo for the Nintendo 3DS. Legends would have all the DLC characters from the Wii U version and would feature new characters, including Tetra and The King of Red Lions from The Legend of Zelda: The Wind Waker. The release date was slated for the first quarter of 2016. Did they deliver? Yes, they did. The game released on March 25, 2016 for the Nintendo 3DS with all DLC characters from the Wii U’s Hyrule Warriors, as well as new characters Tetra and King Daphnes. Oh, and let’s not forget Linkle. The promise: Metroid Prime Federation Force was in development for the Nintendo 3DS. The game promised 4-player co-op missions and Blastball for 3 vs 3 sports battles. The release date provided was 2016. Did they deliver? Not yet. A trailer was released earlier this year, with a window of Spring 2016. That release date has since been moved to August 19, 2016, for the 3DS. The promise: A trailer showed a first look at Fire Emblem: Fates, scheduled for a 2016 release. Did they deliver? Yes. Fire Emblem Fates: Birthright and Conquest released on February 19, 2016. A special edition bundle was also released on that date and included Birthright, Conquest and the third campaign, Revelation. The third campaign, as standalone DLC, was released on the Nintendo 3DS eShop on March 10, 2016. The promise: Atlus’ Tokyo Mirage Sessions #FE would be coming to the Wii U in 2016. Did they deliver? Not yet, but likely yes. The release date is currently scheduled for June 24, 2016. The promise: Monolith Soft’s JRPG, Xenoblade Chronicles X, would be headed exclusively to the Wii U, with a December 4, 2015 release date. Did they deliver? Yes. The game, which is a thing of beauty, released on the date promised for the Wii U. The promise: Animal Crossing: Happy Home Designer would be exclusive to the Nintendo 3DS. The game would included Animal Crossing Amiibo card support. Release date: September 25, 2015. Did they deliver? Yes. Those frustratingly collectible Animal Crossing Series 1 Amiibo cards were released alongside the 3DS game on September 25, 2015. Other Amiibo card series have been released in subsequent months. Series 4 cards are slated for June 10. The promise: Animal Crossing: Amiibo Festival was announced, with one Amiibo required for play. The game would support up to four players, with the purchase of Amiibo sold separately. The release date was later revealed for Holiday 2015, with the game headed to the Wii U. Did they deliver? Yes. The game released November 15, 2015 as a bundle that included Digby and Isabelle Amiibo and three Amiibo cards. The promise: Yoshi’s Woolly World, a platformer with co-op mode, would be a Wii U exclusive. An Amiibo feature would allow players to scan in various characters, unlocking adorable hand-knit Yoshi skins based on Nintendo’s greatest heroes and villains. Release date: October 16, 2015. Did they deliver? Yep, they did. Yoshi’s Woolly World released on October 16 on the Wii U. It features local co-op play. Tapping Amiibo into the game transforms yarn Yoshi into Yoshi look-alikes of his Amiibo friends. The promise: Level-5’s popular Japanese franchise Yo-kai Watch would arrive on the Nintendo 3DS, with a Holiday 2015 release window. The promise: Mario & Luigi: Paper Jam, the latest in the Mario & Luigi series, would be headed exclusively to the Nintendo 3DS, along with a special guest: Paper Mario. Mario, Luigi and Paper Mario would make their debut in the spring of 2016. Did they deliver? Yes, indeed. And a little ahead of schedule too! Paper Jam released on January 22, 2016 for the Nintendo 3DS. The promise: Mario Tennis: Ultra Smash, the latest in the Mario Tennis series, would be an exclusive on Nintendo Wii U, with a Holiday 2015 release window. Did they deliver? Yep, the game released on the Wii U on November 20, 2015 (which was initially when Star Fox Zero was supposed to release). The promise: The show closed with a developer story from Miyamoto and Takashi Tezuka for a Super Mario Bros. series retrospective and a discussion about Super Mario Maker. They showed an 8-bit Mario Amiibo and the game’s booklet, which would feature Mario course examples. Release date for the game: September 11, 2015. Did they deliver? Yes, they did. There are now two 8-bit Mario Amiibo available: one classic and one modern. Both released alongside the game on September 11, 2015, with modern Mario as a Wal-Mart exclusive. The booklet looks pretty nice too. Take a look at the PAL box art while you’re at it. That’s it for this reflective series on the E3 Promises of 2015. Now we wait for all of next week’s E3 2016 promises.